People are your company’s greatest asset. They’re vast – and often untapped – repositories of knowledge, experience, skills, and ideas. 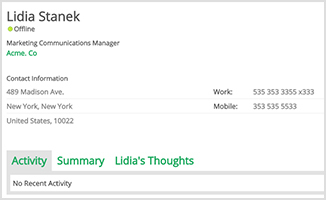 Igloo’s built-in, searchable people directory simplifies and speeds up collaboration, connecting employees to the right colleagues with the right expertise. Browse member profiles to learn about colleagues across the hall – or across the ocean. Members can share professional and/or personal information depending on company policies. 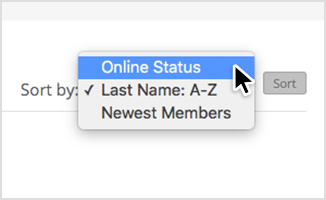 View member profiles by name, join date, or online status, or sort by teams or departments. 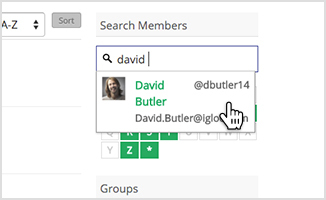 Search for any member in a community using the full text search. 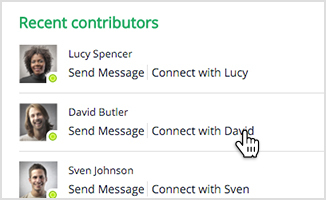 Or use the alphabetic tool to quickly and easily find users by last name. View a member’s recent contributions, such as blogs, forum posts, documents, files, and more.